DJ Ives M & DJ T.H. presents another one of their amazing album tunes "London Downtown" finally as single release. This is the only Progressive Trance tune from the album which has open a new style for the both guys. 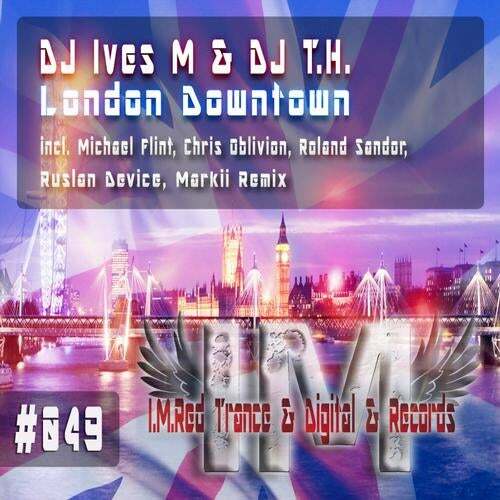 London Downtown also writes the story of DJ Ives M's hometown and the sound he connect with it. The tune has awesome remixes by Michael Flint, Chris Oblivion, Roland Sandor, Ruslan Device and Markii. Enjoy this amazing trip through "London Downtown"! DJ Ives M, DJ T.H. DJ Ives M, DJ T.H., Sunlight Project, Andrew Fields, Otto Uplifting, Ben'yala, DJ Anvil, Johlin, DJ Axel F.